0	jplist-folder-All-Posts-355 jplist-folder-Featured-489 jplist-folder-Product-Literature-13054 jplist-folder-All-Posts-355 Product-Literature-Product-Literature	jplist-topic-cable jplist-topic-Comcast jplist-topic-internet	1	07/20/2015 08:31:48	Comcast Business Internet offers download speeds up to 1Gbps, which means less time waiting and more time being productive. Plus, it’s backed with 24x7 Comcast Business support. An Internet service with new and innovative business solutions designed to help you work smarter and more efficiently. It’s no wonder that more-and-more businesses are equipping their employees with the speed and reliability of Comcast Business Internet. 1	jplist-folder-All-Posts-355 jplist-folder-Featured-489 jplist-folder-All-Posts-355 Sell-Sheets-Sell-Sheets	jplist-topic-cable jplist-topic-Comcast jplist-topic-Gig jplist-topic-internet	1	08/31/2017 08:40:26	DREAM GIG As connected devices, massive downloads, and virtual collaboration become the norm, other networks may struggle to keep up. That’s why Comcast is building the nation’s largest Gig-speed network — a network that is capable of transforming more businesses in more places. Regardless of your business’s bandwidth needs, Comcast Business has the right speed for you. Worry less about large files and connected devices, and get lighting-fast Internet with Comcast Business — all more affordably. 2	jplist-folder-All-Posts-355 jplist-folder-Featured-489 jplist-folder-All-Posts-355 Sell-Sheets-Sell-Sheets	jplist-topic-Coax jplist-topic-Comcast jplist-topic-EoHFC jplist-topic-ethernet jplist-topic-fiber	1	01/22/2018 16:42:09	DIFFERENT DELIVERY, SAME GREAT SERVICE ETHERNET OVER HYBRID FIBER COAX (EoHFC) lets business take advantage of Ethernet technology over Comcast’s far-reaching Hybrid Fiber Coax (HFC) network. 3	jplist-folder-All-Posts-355 jplist-folder-Featured-489 jplist-folder-All-Posts-355 Sell-Sheets-Sell-Sheets	jplist-topic-backup jplist-topic-cable jplist-topic-Comcast jplist-topic-internet jplist-topic-wireless	1	01/09/2018 11:17:42	COMPLETE RELIABILITY WITH AUTOMATIC 4G WIRELESS BACKUP No business likes downtime — that’s why Comcast Business is the first broadband provider to offer an automatic 4G LTE wireless backup connection and 6-hours of battery backup. If internet connection is lost, it automatically kicks in with the stronger of two redundant wireless networks, powering business functions like point of sale, cloud applications, back office connections and email until full connectivity can be restored. Earn $75 for every new Comcast Business Internet order during fiscal March! 4	jplist-folder-All-Posts-355 jplist-folder-Agent-Spiffs-13051 jplist-folder-All-Posts-355 SPIFF-SPIFF	jplist-topic-Comcast jplist-topic-SPIF jplist-topic-Q1 jplist-topic-2019	0	03/05/2019 08:31:30	JUST ADDED! Sales to customer sites IN ALL DIVISIONS!Earn $75 for every new Comcast Business Internet order duringfiscal March!• Must make a minimum of two qualifying Business Internet sales during the incentive period to qualify.• $75 per Business Internet unit (following the second Business Internet unit sale, retro to the first Business Internet unit. )The specifics:• Business Internet Sales must be made to new customers or as a new service to existing customers to qualify. Second modem sales excluded.• Upgrades or other changes for existing customers do not qualify.• Requires minimum 3-year contract term.• Sales must be Order Accepted during the eligibility period to qualify.• All speeds of Comcast Business Internet are eligibleEligibility Period: February 22 – March 21, 2019Sales must be Order Accepted between 2/22/19 – 3/21/19.Eligible Recipients:All Comcast Business Solutions Provider partners in good standing are eligible for this SPIF. For More Information, Contact Your Comcast Business Partner Sales Manager. Business Internet SPIF Make it Gig in Central! 5	jplist-folder-All-Posts-355 jplist-folder-All-Posts-355 SPIFF-SPIFF	jplist-topic-Comcast jplist-topic-Q1 jplist-topic-telegration jplist-topic-SPIF jplist-topic-Business-Internet	0	02/26/2019 13:47:12	Earn $75 for every new Comcast Business Internet order during fiscal March! • Must make a minimum of two qualifying Business Internet sales during the incentive period to qualify. • $75 per Business Internet unit (following the second Business Internet unit sale, retro to the first Business Internet unit.) • Only sales made to sites in the Comcast Business Central Division will qualify. The specifics: • Business Internet Sales must be made to new customers or as a new service to existing customers to qualify. Second modem sales excluded. • Upgrades or other changes for existing customers do not qualify. • Requires minimum 3-year contract term. • Sales must be Order Accepted during the eligibility period to qualify. Eligibility Period: February 22 – March 21, 2019 Sales must be Order Accepted between 2/22/19 – 3/21/19. 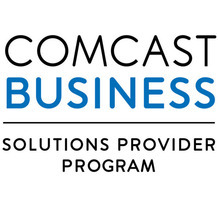 Eligible Recipients: Comcast Business Solutions Providers that sell Business Internet to customer sites in the Central Division are eligible. For More Information, Contact Your Comcast Business Partner Sales Manager. For Business Ethernet and SD-WAN! 8	jplist-folder-All-Posts-355 Sell-Sheets-Sell-Sheets	jplist-topic-Benefit jplist-topic-cable jplist-topic-Comcast jplist-topic-Levels jplist-topic-MDF jplist-topic-Tiers	0	07/25/2018 09:15:16	The Comcast Business Solutions Provider Program is known in the industryas respected, established and reliable. A big part of the reason that we have earnedthat reputation is: we are 100% committed to our Solutions Providers. And we have a graduated benefits program to reward our most loyal and best performing partners.See flyer for details. 10	jplist-folder-All-Posts-355 jplist-folder-All-Posts-355 Sell-Sheets-Sell-Sheets	jplist-topic-Comcast jplist-topic-voice jplist-topic-voip	0	11/14/2017 11:15:59	VoiceEdge Select™ Comcast Business VoiceEdge Select gives you everything your small business needs to stay connected in today’s complex business environment. Powered by the Comcast Gig-speed network, VoiceEdge Select combines all the features you’ve come to expect in a VoIP service plus business-grade phones, a mobile app and advanced features typically associated with big-business phone systems costing much more. 11	jplist-folder-All-Posts-355 jplist-folder-All-Posts-355 Sell-Sheets-Sell-Sheets	jplist-topic-cable jplist-topic-Comcast jplist-topic-monitoring	0	10/05/2017 14:12:30	YOU’VE NEVER SEEN VIDEO MONITORING LIKE THIS BEFORE.Business moves pretty fast. And the Comcast Business SmartOffice™ Video Monitoring Solution helps you keep up. With the ability to keep an eye on your company’s facilities 24/7 with crystal clear images and automatic cloud storage, you won’t miss a thing. Plus, it’s all enhanced by the super-fast and reliable Comcast Business Internet. 12	jplist-folder-All-Posts-355 White-Paper-White-Paper	jplist-topic-bandwidth jplist-topic-Comcast jplist-topic-SD-WAN jplist-topic-sdn jplist-topic-Sdwan	0	10/03/2017 10:22:05	Software-defined WAN technology unlocks the potential of broadband to create a foundation for transformation across business locations. 13	jplist-folder-All-Posts-355 jplist-folder-All-Posts-355 Sell-Sheets-Sell-Sheets	jplist-topic-Collateral jplist-topic-Comcast jplist-topic-Tool	0	09/20/2017 19:49:26	Co-brand Comcast Business Collateral with PrintPoint! This is a great way for you as a Solutions Provider partner to co-brand Comcast Business electronic marketing collateral with your company logo and contact information, making it easy to market your company and Comcast Business offerings. You’ll be able to upload your company name, logo, and contact info to pre-approved, high-quality Comcast Business sales sheets and then save the PDFs for printing or emailing. Here’s all you need to do: Register for the Access Now – Click Here! Your account will be reviewed and approved by Lita Vernick and you will receive an email notifying you of your approval. Start customizing your collateral! 14	jplist-folder-All-Posts-355 White-Paper-White-Paper	jplist-topic-Comcast-Business jplist-topic-Enterprise jplist-topic-Infographic jplist-topic-SD-WAN	0	09/18/2017 09:56:14	As application traffic moves to the cloud, demands for cost-effective, high-capacity network connectivity intensify. 15	jplist-folder-All-Posts-355 jplist-folder-All-Posts-355 Sell-Sheets-Sell-Sheets	jplist-topic-Comcast-Business jplist-topic-ethernet jplist-topic-SD-WAN jplist-topic-sdn	0	09/18/2017 09:48:29	TO GO VIRTUAL, REDEFINE YOUR NETWORK The digital world is shaping the landscape for today’s distributed enterprise. Digital transformation—driven by accelerated cloud adoption, ubiquitous mobility and the Internet of Things—has earned a place as a constantly evolving goal for most enterprises. At the same time, businesses are building more applications specifically for the internet. And that requires an internet-friendly and cost-effective network environment. 16	jplist-folder-All-Posts-355 Product-Literature-Product-Literature	jplist-topic-cable jplist-topic-Comcast jplist-topic-marketing	0	06/29/2017 20:15:24	CHANNEL EXPRESS: MAKING YOUR JOB EASIEROur new Comcast Business app was developed to give our Solutions Providers an easy andefficient way to organize messaging and sales materials specifically to your type of prospect…enhancing your selling success.Channel Express serves up the right combination of assets that truly fit your customer persona, vertical market and product type, taking the guesswork out of your marketing. And you can easily access it from your desktop or mobile device.GET STARTED TODAY!Request access by visiting the registration link: http://client.channelrocket.com/#/register/comcast.Once your registration is approved, you can easily access the tool via your web browser or your Apple or Android device. 17	jplist-folder-All-Posts-355 Product-Literature-Product-Literature	jplist-topic-AWS jplist-topic-Azure jplist-topic-cloud jplist-topic-Comcast jplist-topic-ethernet	0	06/17/2016 13:17:33	DIRECT2CLOUD FROM COMCAST BUSINESSComcast Business cloud connectivity leverages Comcast Business Ethernet to facilitate secure, direct access between any location inside our extensive nationwide network footprint and leading cloud environments across the country including Amazon Web Services (AWS), IBM Cloud and Microsoft Azure. 18	jplist-folder-All-Posts-355 User-Guide-User-Guide	jplist-topic-Comcast jplist-topic-operations jplist-topic-Resources	0	05/17/2016 13:48:49	Everything you need to be successful with the Comcast Business Solutions Provider Program! 19	jplist-folder-All-Posts-355 White-Paper-White-Paper	jplist-topic-bandwidth jplist-topic-Comcast jplist-topic-connectivity jplist-topic-network	0	05/17/2016 13:45:22	The channel is changing dramatically. Hardware and software margins are shrinking as computing morphs from the desktop to the cloud. And the growth of the cloud, as well as other technology apps, has put a huge demand on bandwidth. Companies not currently offering network services as part of their portfolio are missing out on a huge opportunity.Read this infographic to learn more about it! 21	jplist-folder-All-Posts-355 jplist-folder-All-Posts-355 Product-Literature-Product-Literature	jplist-topic-cable jplist-topic-internet jplist-topic-wifi	0	02/02/2016 14:20:56	DEMAND FOR WIFI IS GROWING WiFi has become as essential to business as the Internet itself. Your employees need access to cloud applications and shared devices like printers, while your guests and customers expect fast connections to stream videos and access social media networks. To stay ahead of the competition, your business is going to need more than just fast, reliable WiFi – you'll need an advanced solution that's smart, scalable and flexible. Enter WiFi Pro. 23	jplist-folder-All-Posts-355 Product-Literature-Product-Literature	jplist-topic-cable jplist-topic-Comcast jplist-topic-fiber jplist-topic-network	0	07/20/2015 08:40:17	The Comcast high-speed, high-capacity broadband and Ethernet services operate across our private, diverse enhanced fiber network. With over 149,000 national route miles of fiber and over 1 million Ethernet-enabled buildings, our network is the largest facilities-based last mile alternative to the phone company. 24	jplist-folder-All-Posts-355 Product-Literature-Product-Literature	jplist-topic-bandwidth jplist-topic-cable jplist-topic-Comcast jplist-topic-ethernet	0	07/20/2015 08:28:18	Regardless of how complex your network needs are, Comcast has an Ethernet solution designed to help keep your business applications running smoothly and everyone in your organization connected with one robust and secure network. With a reliable Ethernet connection from Comcast, you'll exchange data safely and securely, at up to 10Gbps. 25	jplist-folder-All-Posts-355 Product-Literature-Product-Literature	jplist-topic-cable jplist-topic-Comcast jplist-topic-phone jplist-topic-pri jplist-topic-sip jplist-topic-voice	0	07/20/2015 08:17:03	Choose from voice lines, a managed solution, PRI trunks, SIP trunks, or a combination. 26	jplist-folder-All-Posts-355 jplist-folder-Agent-Resources-13050 jplist-folder-All-Posts-355 Case-Study-Case-Study	jplist-topic-cable jplist-topic-case-study jplist-topic-Comcast jplist-topic-ethernet jplist-topic-financial-services	0	07/07/2015 16:42:04	Historic community bank modernizes its image and brand, expands service offerings and adds a new branch.Scalable, 100 Mbps Network service and internet connection supports new commercial lending division; helps employee productivity across six branches. 27	jplist-folder-All-Posts-355 jplist-folder-Agent-Resources-13050 jplist-folder-All-Posts-355 Case-Study-Case-Study	jplist-topic-cable jplist-topic-case-study jplist-topic-Comcast jplist-topic-ethernet jplist-topic-health-care	0	07/07/2015 15:22:04	New Jersey health care provider connects more than 50 locations, supports transition to electronic medical records and adoption of telemedicine with high-performance Wide Area Network. 28	jplist-folder-All-Posts-355 jplist-folder-Agent-Resources-13050 jplist-folder-All-Posts-355 Case-Study-Case-Study	jplist-topic-cable jplist-topic-case-study jplist-topic-Hospitalikty	0	07/07/2015 15:14:04	Read about how Hawthorn Suites upgraded to Comcast Business Ethernet, TV and Voice Services for an improved guest experience.